This ranch-style model home greets guests with a charming covered entry, and continues to impress with an open, inviting layout for entertaining. Highlights include a spacious great room, complete with fireplace and center-open doors overlooking a relaxing covered patio, and a gourmet kitchen with 42" upper cabinets, quartz countertops with backsplash, stainless-steel appliances, an island and a nook. An elegant master suite features a tray ceiling, expansive walk-in closet and private bath with walk-in shower. 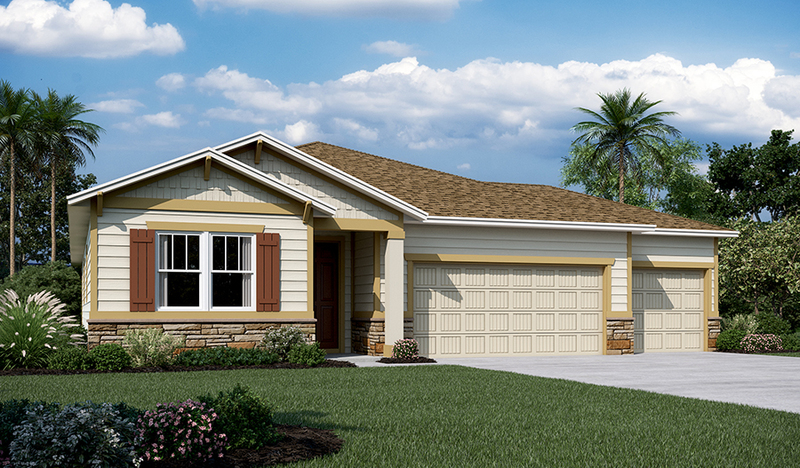 Includes a convenient guest suite, ceramic tile flooring and a 3-car garage!